Are you considering doing a flooring renovation in your home and having difficulty deciding between carpet or hardwood? While many may choose carpet because it is cheaper and requires less installation time, those who choose hardwood floors find that it is more durable and longer lasting. In fact, it is very rare that a hardwood floor would ever need to be replaced. 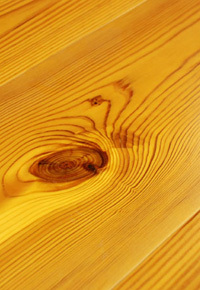 Hardwood flooring can possibly last over a hundred years, as long as it is sanded down and refinished periodically. Customers often choose hardwood flooring for the practicality of avoiding stains and tears that occur in carpet. Stains on hardwood flooring can be easily spotted and quickly blotted up with a damp cloth. Likewise, hardwood floors do not hold on to pet hairs and allergens that carpet does. Carpet would require regular shampooing in order to effectively remove all allergens that may have sunk into the fibers of the carpet. Installing hardwood floors can be safer and easier for a household suffering from extreme allergies. 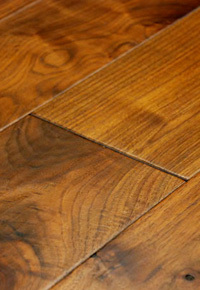 Hardwood flooring is also chosen for its durability. For areas of high traffic, you may consider choosing a harder wood, such as a Red Birch or Red Oak offered in the Rehmeyer Floors Pioneer Collection. Recognized for durability, these types of hardwood flooring are best used by those with pets or children and in high traffic areas. Hardwood flooring is also easily repairable if scratched, provided that you chose a quality hardwood and finish from a reputable supplier. Tung Oil finishes available from Rehmeyer Floors not only enhance the natural color of the wood, but also allow the hardwood to be repairable and recoatable. Repairs can be done without redoing the entire floor, while recoats can bond with the previous coating. Aside from its practicality and durability, hardwood flooring from Rehmeyer is available in a variety of wood species, which allows for seemingly endless choices of grain, knotting, color, and uniqueness. While some may choose a traditional Cherry that would look attractive in any home, Rehmeyer Wood Floors also offers an “extreme custom” option available to customers with a vivid imagination. From exotic woods to pin striped hardwood flooring, the extreme custom option that you design will become a unique work of art that will leave guests of your home in awe. While carpet may lack in its customization, hardwood flooring can be created with options and accessories that will provide the finishing touch. Decorative pegs created from the end grain can be added into the hardwood floor as a flush or raised option that will complement the appearance of the corresponding flooring. Floor vents can also be customized to match your flooring, ensuring a beautiful flow in the appearance of your hardwood. While installing hardwood floors may be a bigger upfront cost than carpet, the long term benefits certainly are worth the extra cost. You will install flooring that can last over a hundred years if properly cared for. With seemingly endless options, you can choose a hardwood floor that will make your home look inviting and open to guests, as well as increase the value of your home. 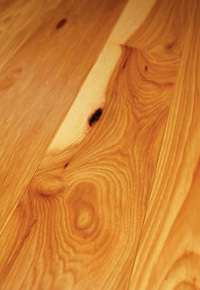 Rehmeyer Wood Floors offers a full range of custom milled and stock wide plank hardwood flooring. Rehmeyer’s flooring is all 3/4″ solid hardwood and sold unfinished, prefinished or completely custom finished to suit your project. Call Rehmeyer Wood Floors today toll free at (888) 474-4047 or visit their website at RehmeyerFloors.com to learn more about their custom flooring services. Rehmeyer Wood Floors ships nationwide.